Big data projects often entail moving data between multiple cloud and legacy on-premise environments. A typical scenario involves moving data from a cloud-based source to a cloud-based normalization application, to an on-premise system for consolidation with other data, and then through various cloud and on-premise applications that analyze the data. Processing and analysis turn the disparate data into business insights delivered though dashboards, reports, and data warehouses - often using cloud-based apps. 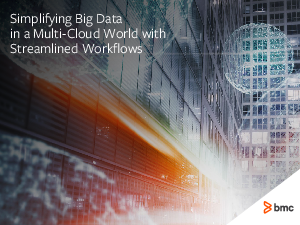 The workflows that take data from ingestion to delivery are highly complex and have numerous dependencies along the way. Speed, reliability, and scalability are crucial. So, although data scientists and engineers may do things manually during proof of concept, manual processes don't scale.